A beautiful religious Easter card. 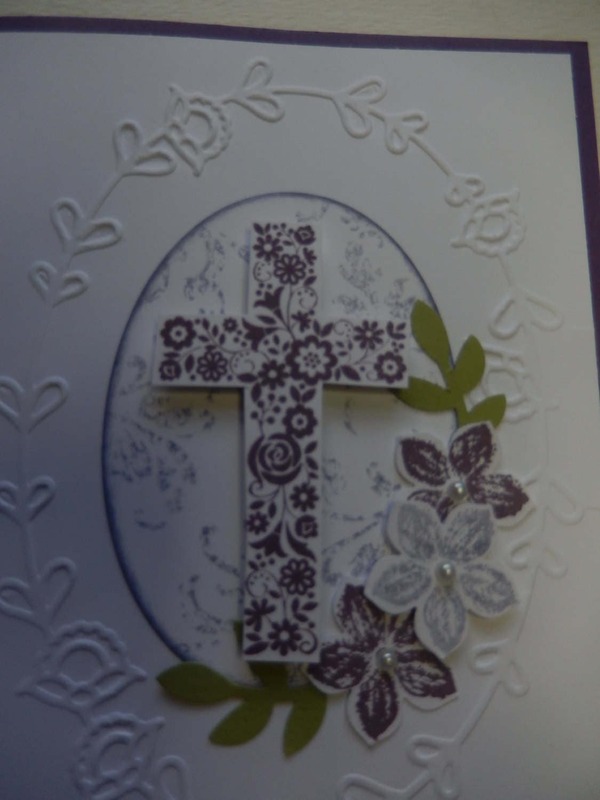 The cross is stamped in purple ink and cut out by hand. 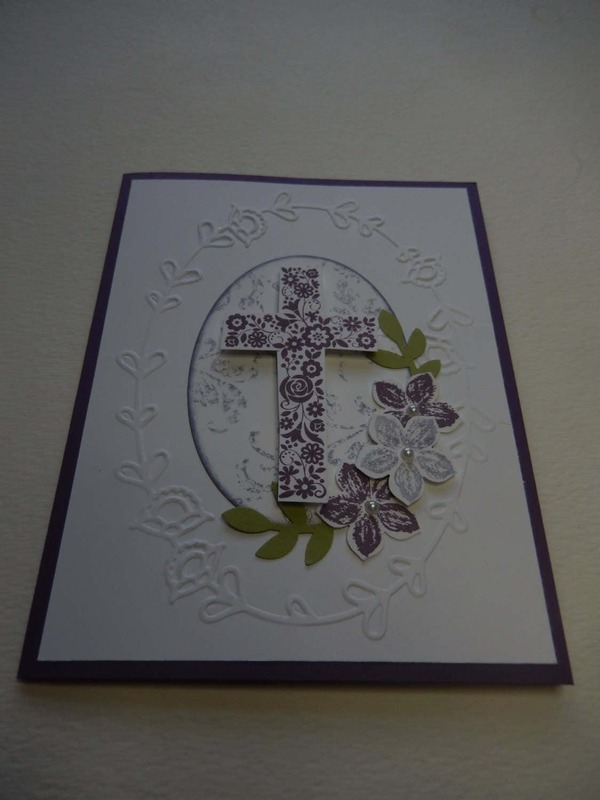 The cross is attached to an oval which has been stamped with a subtle background in lavender ink. It is adhered with pop dots for added dimension. The oval is centered on a white mat which has been dry embossed with a floral frame. The mat is adhered to a matching purple card base. Purple and lavender flowers are stamped and punched out and placed along the edge of the oval with leaves. Pearls are added to the center of the flowers. 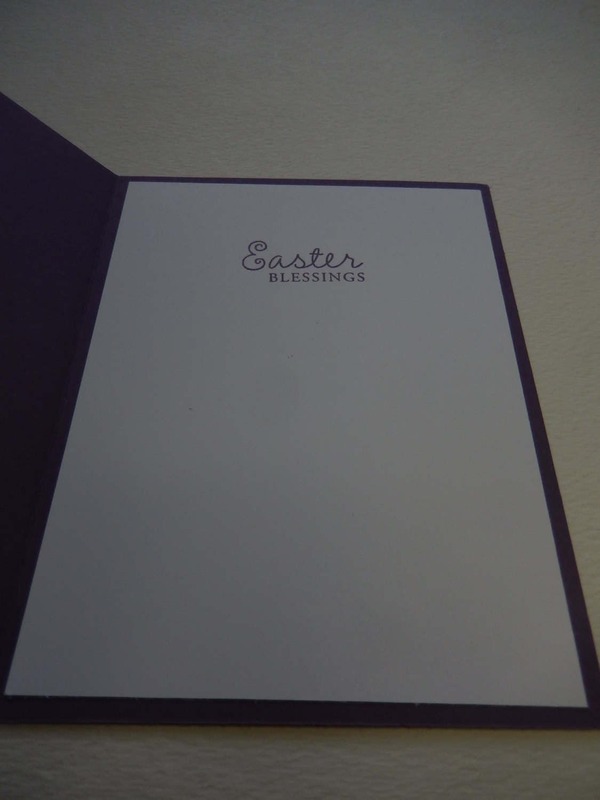 The inside of the card reads "Easter Blessings". The card measures 4 1/4" x 5 1/2" and comes with a white envleope. It is shipped in a cellophane envelope and comes from a smoke free environment. I accept Paypal, major credit cards, and ETSY giftcards. 9.25% sales tax will be added to sales being shipped in the state of California. Items will be shipped within 3 business days after payment is received. If multiple items were purchased, I will combine shipment. If you have a special order, I will e-mail you separately on how long it will take to complete the order. An e-mail will be sent to you once the item(s) have been shipped. Shipping will be done via USPS First Class Mail or Priority Mail, depending on rate. Refunds will be accepted within 14 days of purchase, as long as item is still saleable. Shipping fee will not be refunded.